One of the announced guests at the July 2015 NC ASRC meeting. Anti CC Warriors in NC or who are watching NC’s Academic Standards Review Committee from across the nation will find what I’m about to share worth noting. Since NC’s Repeal CC Law has been reduced down to a ‘review’ task, I’ve watched as other states have formed CCSS ‘review’ teams as well. Talk about a subjective group to appear before an ‘independent’ review committee…. Here in NC, everyone wants in on the educational direction our students take. We have the Dept. of Commerce firmly involved, we have the NC Chamber of Commerce foaming at the mouth to put their money’s worth in, private corporations have become education’s pimp. All the while, the most of the politicians smile and tell you how ‘great’it is! With just over 1 month until this seemingly pro CCSS parade marches before the Academic Standards group, we can do plenty! We can attend, we can listen in, we can object, we can do what we do best: inform others! What message would you like to send those who are hell-bent on aligning education to the CCSS agenda of global economy, worker citizens, and the like? Warriors, the CCSS Machine is churning out lie after lie to block our students progress as individuals and regroup them into a common people. Want to stop the Machine? Create a massive roadblock! Remember, many states are facing similar issues as we are, here in NC. There’s a lot to glean from our citizens in this fight. We know the problem: businesses impeding in education. We CAN be a part of the roadblock they face! 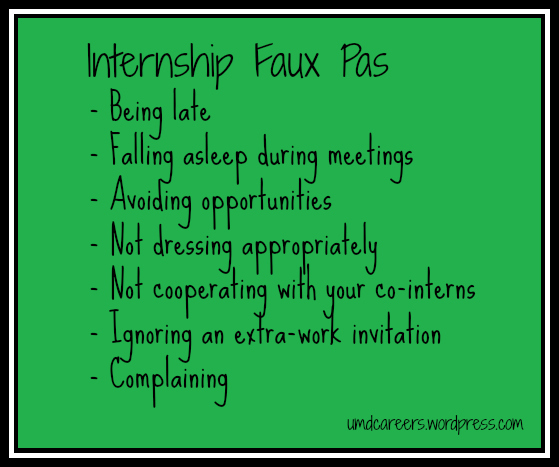 One big selling point to the Workforce CCSS aligned agenda: internships, apprenticeships, and similar programs. the members were gathered, each with much care. I’d like us to take a short look at the supporting groups behind the man who expressed how we (as the citizens of NC) NEED to involve more businesses in education (aka: P3s; public private partnerships). I’m sure, in your state, you have people just like this. Considering how the U. S. Chamber of Commerce was given so much Gates Foundation money to pass on to the state level Chambers (the express purpose of promoting Common Core), you may in fact, know several supporters who share this man’s perspective. I, however, do not. I’ve done too much research into CCSS to buy the ‘skills gap’ argument; the dire need for businesses weighing into how the schools should align classes to fill their jobs. Do these people NOT remember that for thousands of years all that was needed is a strong base and ANY job can be attained. No, they are too busy spouting off the ‘best practices’ line or the ever popular ‘skills for a 21st Century.’ How many of them have stopped to think back to those folks who ALSO were in changing times of old? Did they always align education to fit future? No, yet somehow, we’ve been able to NOT only survive as a nation, but THRIVE. On Tuesday, just one day after the Review Commission meeting, was a “Future Forum” meeting. None other than the NC Chamber of Commerce was the ‘proud parent’ of this soiree. I don’t know about your state’s Chamber of Commerce, but NC’s has been extremely vocal about not only its support, but its love and devotion to not only the Common Core, but the Career Pathways. Why, they use wonderfully embracing phrases to describe your students (‘talent supply’, “human capital”, ‘talent pipeline’, etc.). Why I mention the Chamber is their report from 2012 was brought up during the Review Commission meeting. The Workforce Report mentioned during the meeting, is available on the NC Chamber of Commerce’s website. http://ncchamber.net/wp-content/uploads/2014/05/North_Carolina_Workforce_System_Review_and_Options_for_Reform_2014-Final….pdf *Note: the 2012 one is actually an appendix item in this updated report. One of the reform items? Continuing to use the community college system as a means to an end. Then, there’s how all the funding can help NC become even more aligned. So, if the community college is a means to an end, what does that make the student? From the NC Chamber of Commerce document joining workforce and education reform. Go take a look at the featured speakers for the Forum. http://ncchamber.net/chamber-events/future-forum/ Even though the event is past, If you want to find the Twitter feed from the meeting, #FutureofNC (yes, even if you don’t live here, you need to see this. Why? I can bet your state has similar efforts going on..especially with your state level Chambers of Commerce involved). Okay, I’m assuming you’ve looked. You may be saying “So? ?” Dr. Tony Wagner of Harvard was a celebrated speaker at this event. Harvard..as in the University. The same university which partnered with Pearson Publishing to create the ‘Career Pathways’ movement that (now) is an integral part of Common Core (in previous Tech Thursdays posts this has not only been shared, but backed with documents and links). So, after seeing some of the tweets and adding it to what I already know about the love affair between Harvard, CCSS, Chambers of Commerce, I decided to take a bit of a closer look at Dr. Wagner’s stance. I think you’ll find it interesting too. I’ll assume you’ve just read his commentary from the above link. 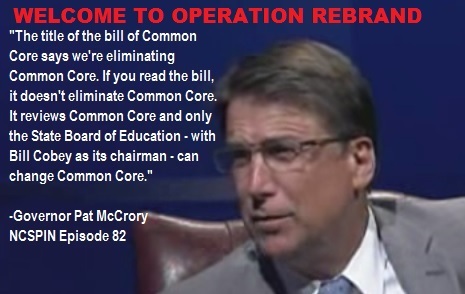 No, you didn’t see Workforce or Common Core per se, but did you get the overall drift of the CCSS agenda? So, what does all this mean for Workforce, Adult CC, and my student? It means we need to be ahead of those in charge by connecting the dots between Common Core in the secondary level and the post secondary level. We need to continue to expose the overreach of federal, and now, state government programs which continue not only support P3 involvement in education, but seek to purposefully seek it out, encourage it, and reward it. 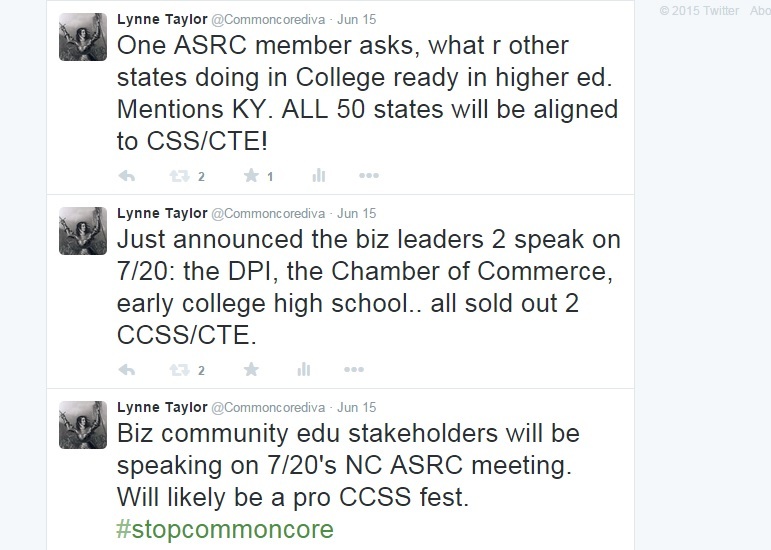 As others, including myself, have shared..Workforce tied to CCSS is NOT going away. It is gaining momentum. If we wish to stop a CCSS aligned work skilled nation, WE must gain momentum, too! One of the charges to carry out the Committee has is to have the best for NC students. I’m not sure how seeking to incorporate the Chamber of Commerce will be best for NC as long as it continues to support CCSS AND bring in those who are also supportive to whip up support from the business end. It creates a false positive environment. It’s employing the appeal to fear fallacy (we must bring in the business owners or we won’t have a skilled workforce), the bandwagon fallacy (you can’t have 20th century teaching in a 21st century world; kids won’t be employable), and the argument from ignorance fallacy (we’re dancing all around CCSS and what it’s doing to NC, but we’re not really willing to be objective about it either). What can your state learn from NC? Plenty! We’ve got to get the P3s out of the education bed. We’ve got to stop allowing the false argument that 21st skills are more important than any other century. We’re not the first group of people finding ourselves in a state of change. Every generation has had change to face! Every century has had folks face the unknown. Do you think it the times gone by that everyone had a answer for every future job? No, BUT they did the best they could. If you look close enough, you’ll see that their best has served you and I for many years EXTREMELY well. 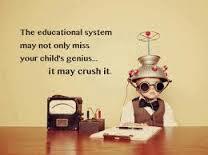 Just because the CCSS Machine is grinding out the message of Workforce alignment, doesn’t mean we have to accept it. If NC wants the best for the students, I’d have to say how things are being handled isn’t the answer. 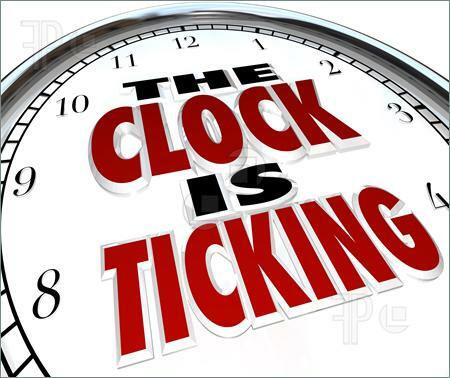 The clock is ticking, folks..how will the BEST happen as long as mediocre mockery is in play? Every second wasted in mediocrity is another supportive move for CCSS aligned workers.